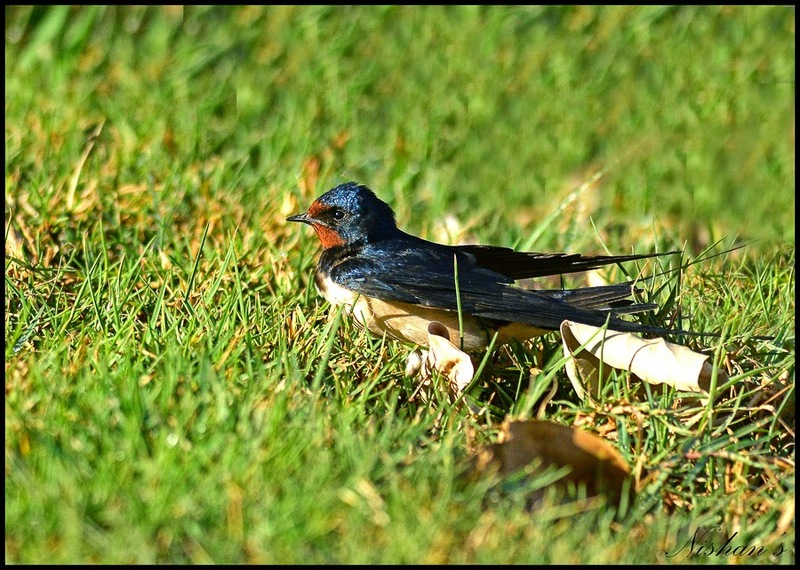 The Barn Swallow is a very common migrant in all areas of the country with some claims that the species winters in the region but these are probably just late or early migrants rather than birds which are truly wintering. The main passage is February to May and again from August to October. 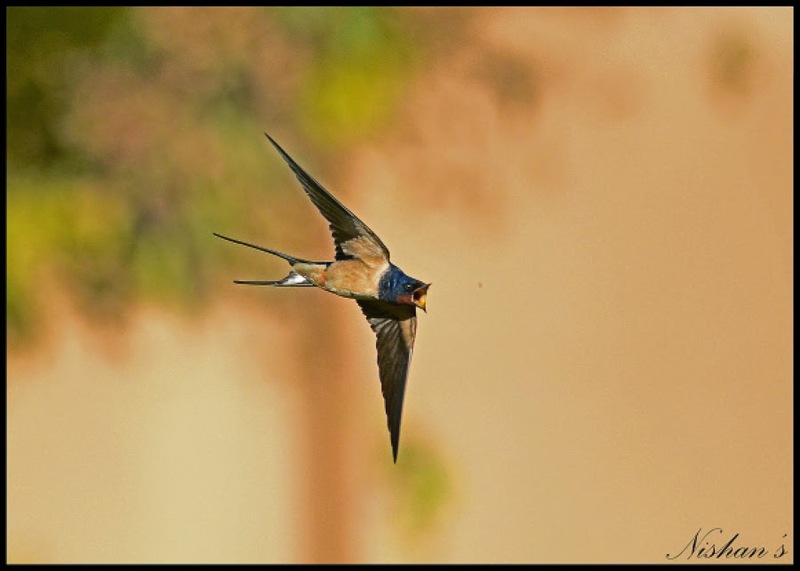 The species has been particularly common this year with thousands arriving just after the huge dust/sand storm of a couple of weeks ago. Nishan has also been seeing them in good numbers in Udhailiyah where he took some photographs that he sent them to me for use on my website. 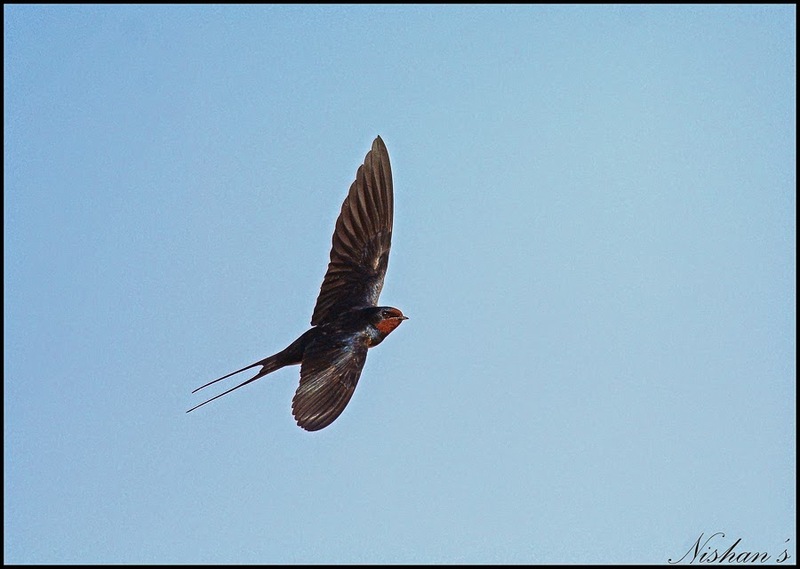 Barn Swallow is polytypic with the Eurasian H. r. rustica occurring in large numbers and a small number of birds with brighter rufous-buff coloured underparts resembling H. r. transitiva although these birds are mainly resident in Lebanon, Syria, Israel and West Jordan.